No, we haven't been floating in the Phlogiston, we've become Other Selves. 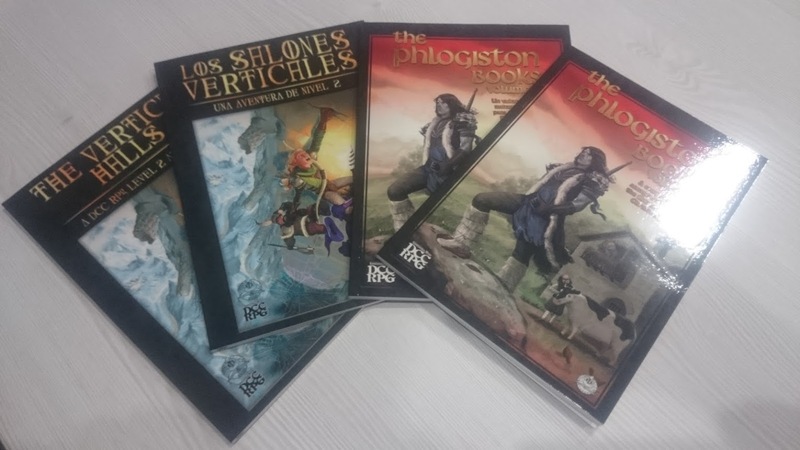 The Phlogiston Books, Volume I (TPBI), or as its subtitle says, A compilation of arcane material for the DCC RPG, was nearly ready some months ago, but we delayed its publication when we started the highly succesful fundraiser for the Spanish edition of DCC RPG. Now, we can proudly announce that TPBI is ready and will be available on October 1st! So, what the heck is TPBI? 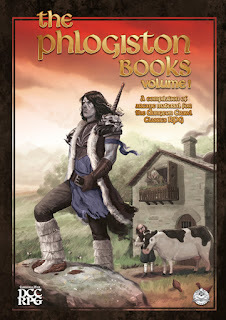 This first issue of The Phlogiston Books is an anthology of game aids, house rules, and adventures for the DCC RPG, gleaned form the various planes of the multiverse. 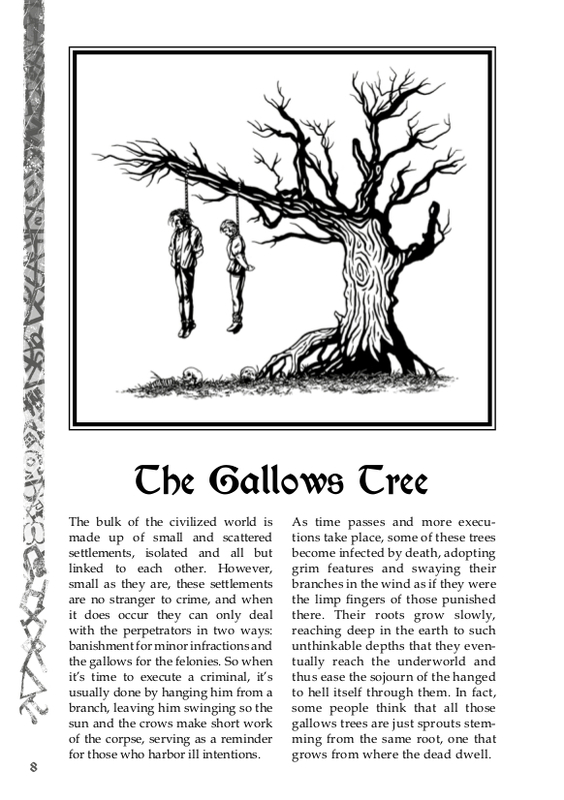 Some of the articles in this volume deal with one of the most dangerous environments that a party of daring adventurers can face: the countryside. 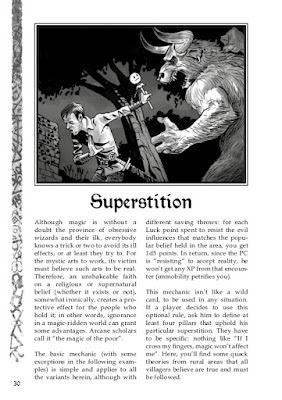 We thus vindicate this setting, its dwellers, and its huge potential in a new and exciting genre that we've dubbed as "Rural fantasy". So sharpen your sword and memorize your spells, 'cause otherwise you could end up dead, or even worse: hanging from the Gallows Tree. But that's not it! 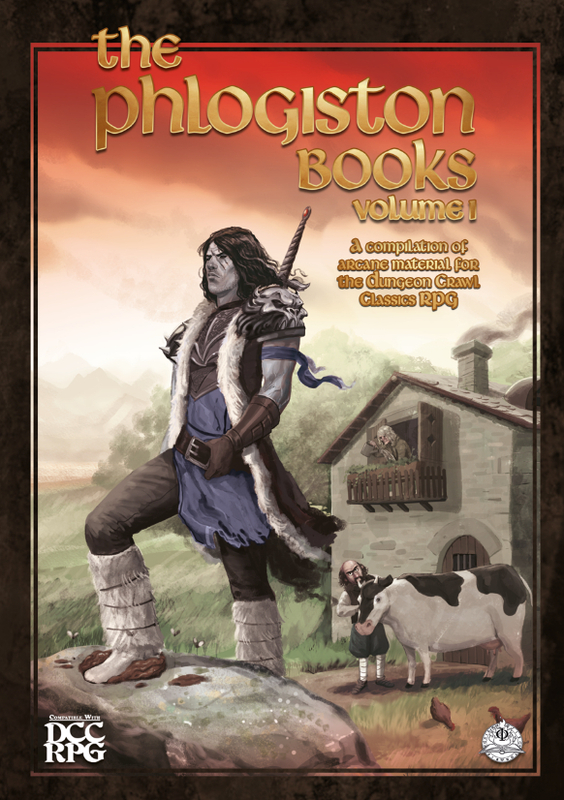 The second printing of The Vertical Halls, the first product from the twisted minds of Phlogiston Books, is again available in DrivethruRPG! It's almost identical to the first printing, we've just fixed some typos. Look at the printing proofs in all their glory!